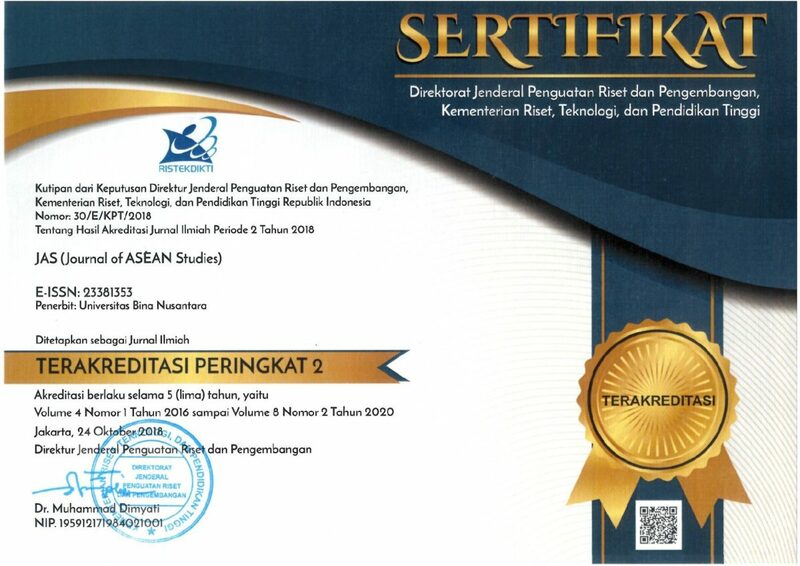 We are pleased to inform our readers that JAS (Journal of ASEAN Studies) is now nationally accredited based on the Decree of the Director General of Strengthening for Research and Development, Ministry of Research, Technology, and Higher Education No. 30/E/KPT/2018 on the Accreditation Rankings of Scientific Journals Batch II 2018. 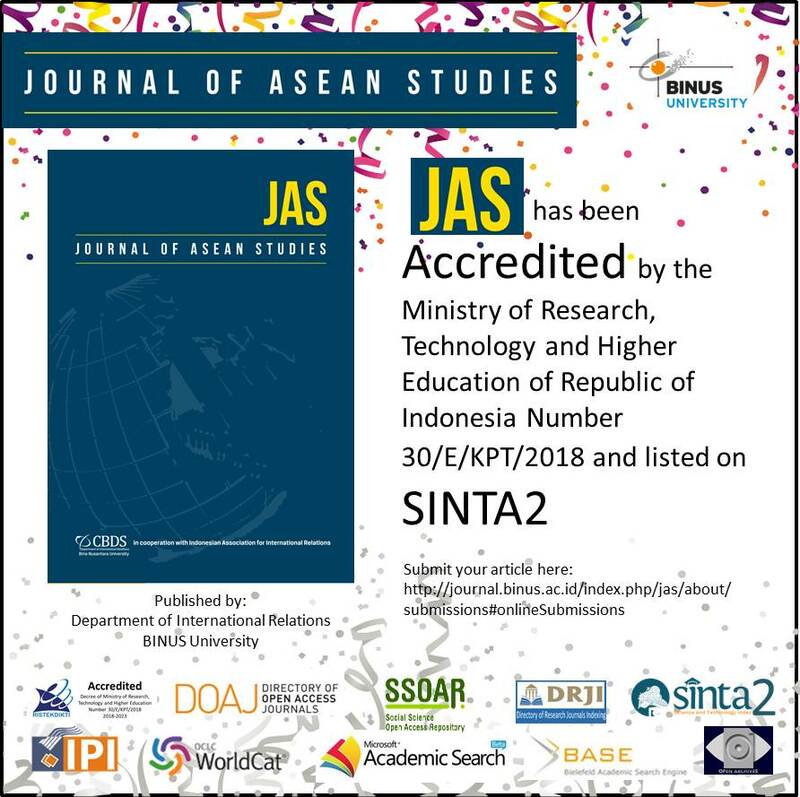 JAS is ranked under SINTA 2 which is currently the highest achievement for Indonesian journals on International Relations. 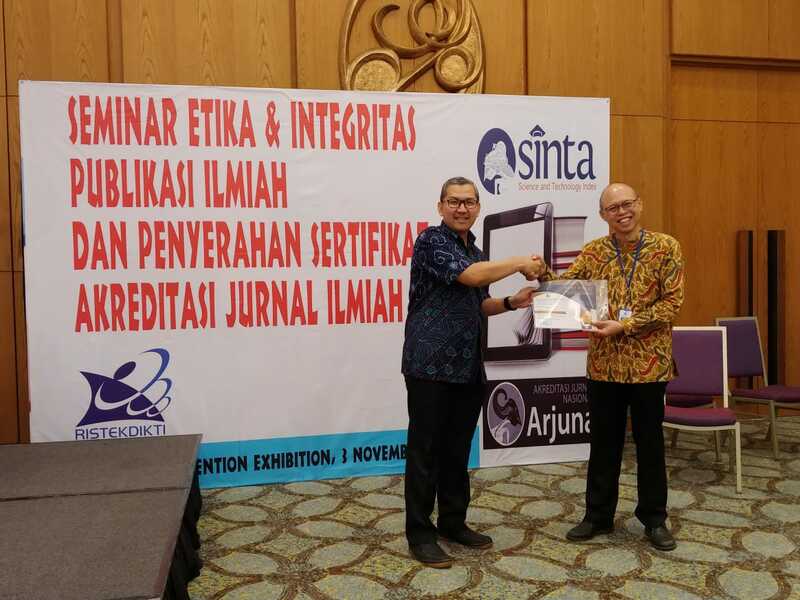 This acknowledgement by the Indonesian government conveys a message for our readers that JAS has been consistently improving its quality as among the most referred journal in Indonesia in the field of International Relations. It is also our expectation that this accreditation would motivates scholars to write for JAS and together with JAS developed our academic reputation in the international community.